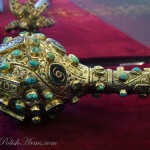 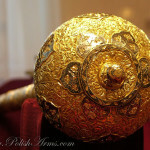 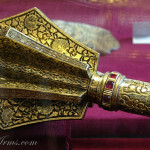 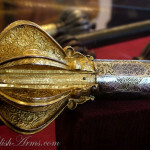 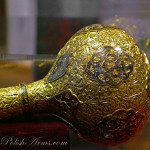 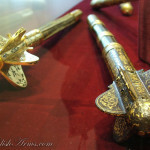 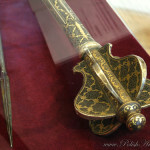 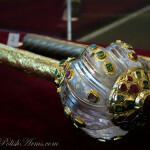 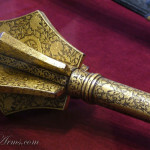 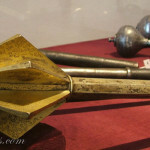 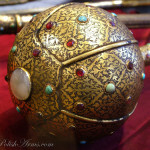 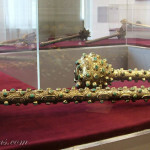 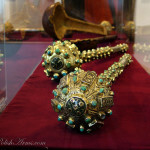 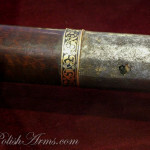 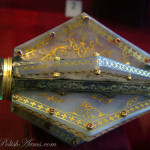 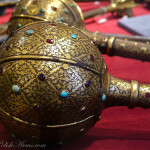 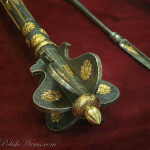 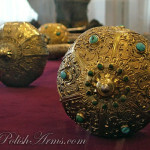 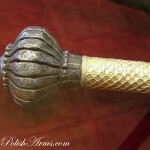 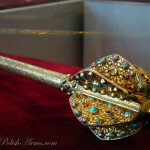 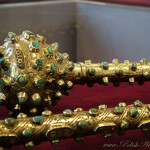 Maces are amongst the most beautiful objects you can find in Polish collections. 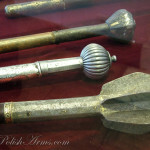 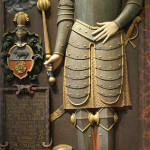 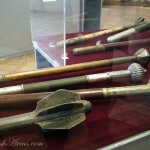 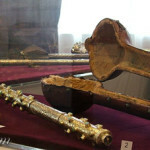 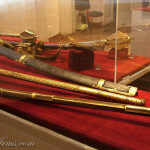 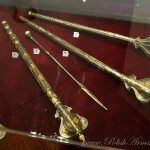 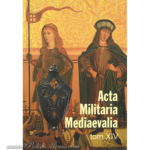 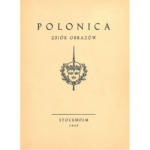 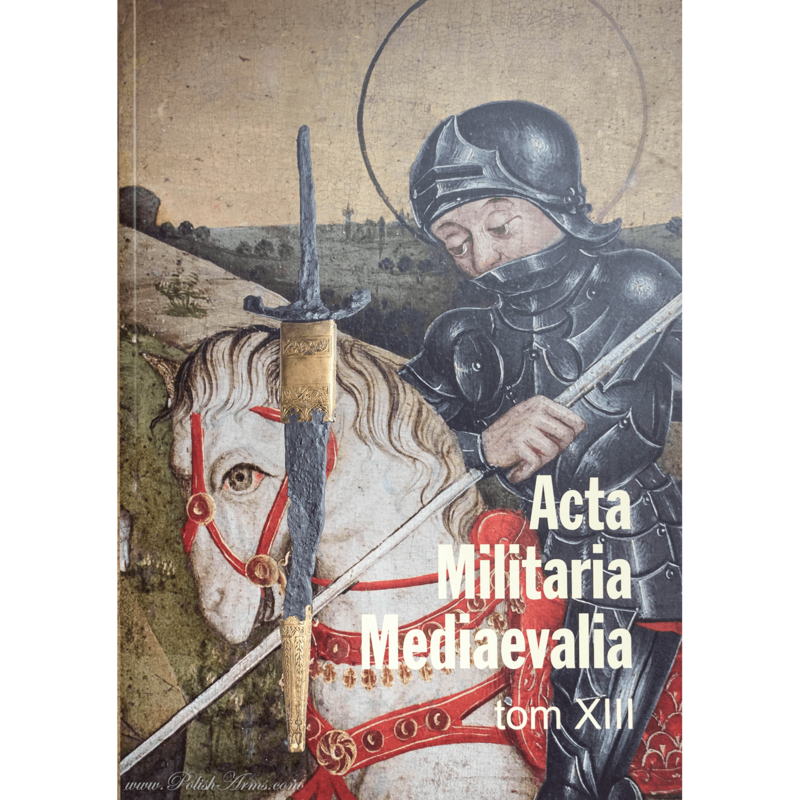 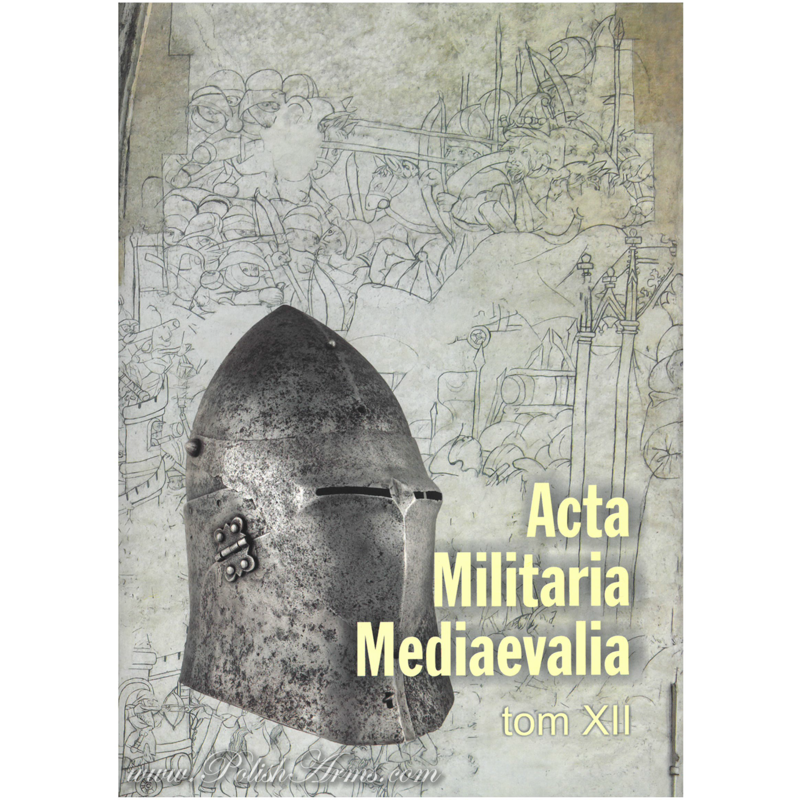 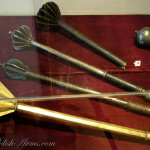 In 2007 the Museum – Palace of Wilanów in Warsaw opened fabulous exhibition, where the author, Jacek Gutowski (the Author of the book “Tartar Arms and Armour”), gathered almost all the maces he could find in Polish museums. 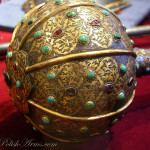 As you probably know there are two types of maces used in Poland, and these are the same as the maces used in Eastern and Western part of the world. 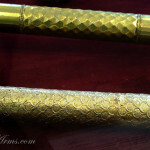 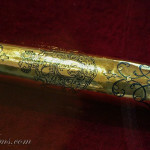 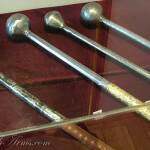 The first type is a bulawa-mace, which you can call in English also a baton, seen on the picture above, with round or oval head on the helve. 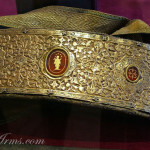 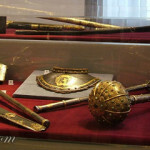 These were never used in battle, always were of high artistic values, and were worn by hetmans, the highest ranked persons in the Polish army. 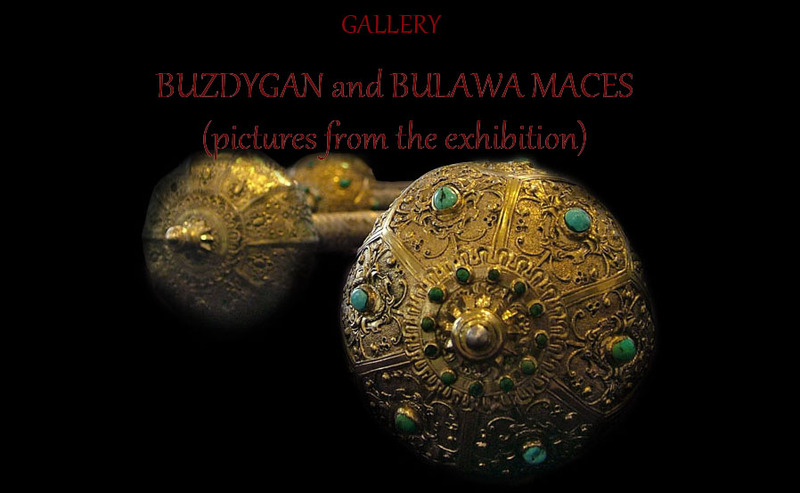 Later, in the second half of the 17th c. and on the bigger scale in the 18th century, buzdygan maces became much more decorative and fancy. 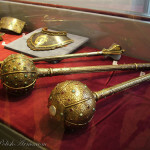 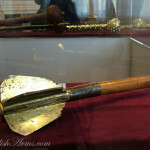 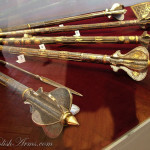 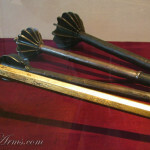 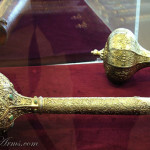 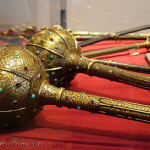 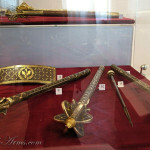 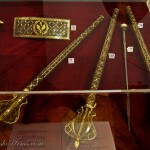 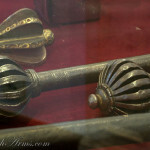 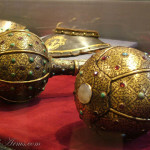 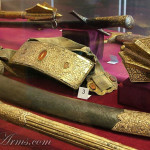 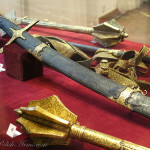 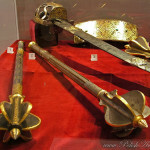 As the bulawa became the sign of hetman, buzdygan maces were used as hussars officer ensign. 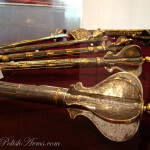 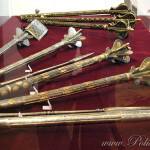 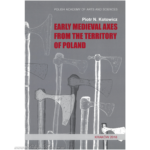 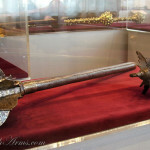 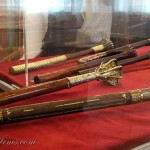 Maces used in Poland were mostly of Eastern origin. 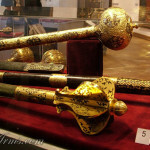 Many goods was imported from Ottoman Empire and Persia but also from the Hungary and Transylvania (both under Ottoman influences). 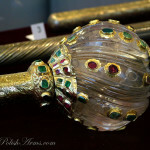 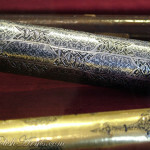 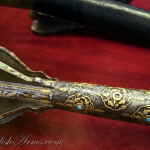 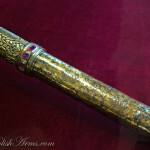 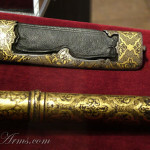 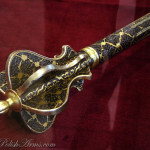 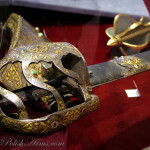 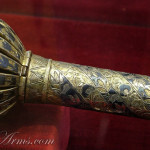 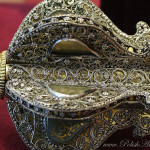 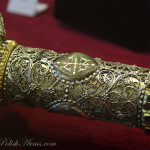 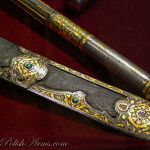 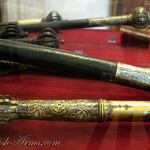 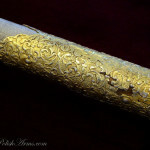 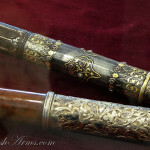 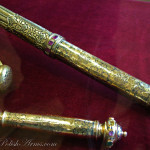 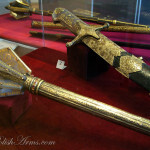 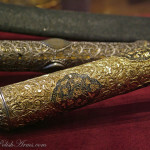 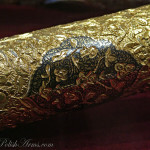 In a turn of 17th and 18th century some Polish manufactures (especially so-called Lviv Manufacture run by Armenians, the refugees from the Persian empire) started to made some decorative maces using Eastern patterns. 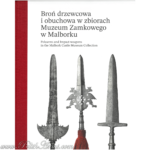 Mr Gutowski prepared a really great exhibition, trying to gather as much historical resources as he could. 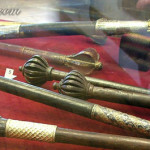 Thanks to his work he could improve dating and provenience of many known and unknown maces. 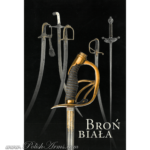 Unfortunatelly, despite the plans, the museum haven’t made a catalogue or any book for the exhibition, which is a real shame. 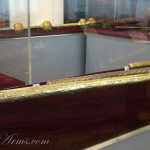 Below you’ll find a gallery of pictures I made in 2007. 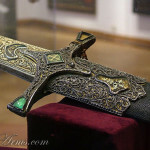 I’m sorry for the quality of some pictures, but the light was quite bad sometimes. 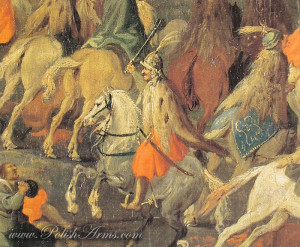 You’ll find additional information (if there is) in the picture captions. 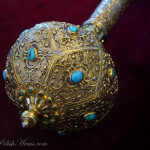 Buzdygan-mace, Ottoman Empire 16th/17th c.
Bulawa-mace with crystal head, Ottoman empire, 2nd half of the 16th c.
Central European buzdygan mace, made of gilded silver, 2nd half of the 16th c.
Nielloed part of the Ottoman mace, 17th c.
Ottoman buzdygan-mace, 2nd half of the 17th c.
Late Polish buzdygan-maces, made in the ‘Lviv Manufacture’ by Armenian artisans, half of the 18th c. Most of these buzdygan-maces bear the common style of decoration which includes gilding, niello, s-shaped flanges on the head, and characteristic division of the shafts into the sections achieved by varying the depth of the carving and chiseling of the metal. 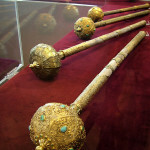 Small jarids are sometimes hidden in the shaft. 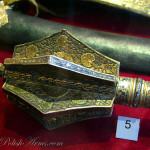 Polish buzdygan-maces, half of the 18th c.
Polish buzdygan-mace, half of the 18th c.
Maces, cartridge-pouch cover, sabre and gorget made by ‘Lviv Manufacture’, 18th c.
Products of the ‘Lviv Manufacture’, Poland, 18th c.
Bulawa-maces made in ‘Lviv Manufacture’,2nd quarter of the 18th c.
Bulawa-mace made in ‘Lviv Manufacture’,2nd quarter of the 18th c.
Maces, sabre and cartridge pouch from the ‘Lviv Manufacture’, 18th c.
Sabre with the ‘Armenian’ decoration, Poland, 18th c.
Gilded and nielloed maces, Poland, 18th c.
Golden and nielloed mace, ‘Lviv Manufacture’, 2nd quarter of the 18th c.
Buzdygan maces, Poland, 18th c.
Karabela sabre made in the same style as previous buzdygan-mace, Poland, 1st half of the 18th c.
Gilded and nielloed shafts of the Polish bulawa-maces, 18th c.
Polish buzdgan-maces, ‘Lviv Manufacture’, 2nd quarter of the 18th c.
Polish buzdygan-mace, ‘Lviv Manufacture’, 2nd quarter of the 18th c.
Polish buzdygan-mace and sabre, ‘Lviv Manufacture’, 2nd quarter of the 18th c.
Decoration of the buzdygan-mace and sabre, Poland, 18th c.
Polish buzdygan-maces, sabre and cartridge-pouch, ‘Lviv Manufacture’, 2nd quarter of the 18th c.
Polish cartridge-pouch, ‘Lviv Manufacture’, 2nd quarter of the 18th c.
Buzdygan-mace and karabela sabre, both made of chalcedonies, ‘Lviv Manufacture, 2nd quarter of the 18th c.
Nielloed decoration on the gilded shafts of mace and sceptre, Poland, 18th c.
Nielloed decoration on the gilded shaft of the sceptre, Poland, 18th c.
Nielloed decoration on the gilded mace shaft, Poland, 18th c.